Jonas Blue released a stunning new music video for his single “Polaroid,” today (Oct. 19). 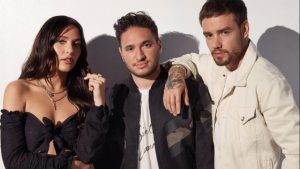 The song, featuring Liam Payne and Lennon Stella, tells the story of a chance encounter between strangers who fall in love after taking a Polaroid picture together. The “Polaroid” visual brings the romantic dance song to life on the streets of New York City. After two strangers meet at a rooftop party, the two search for each other in iconic places like Grand Central Station and Central Park, and bump into each other by the video’s heartfelt ending.